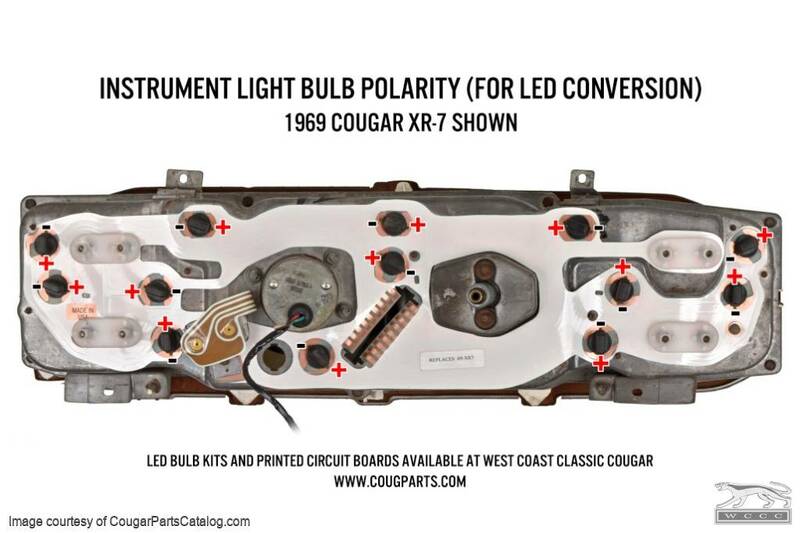 New LED dash light kit for the gauges in your Mercury Cougar. Finally, a kit that will provide you the light you need to see your gauges! 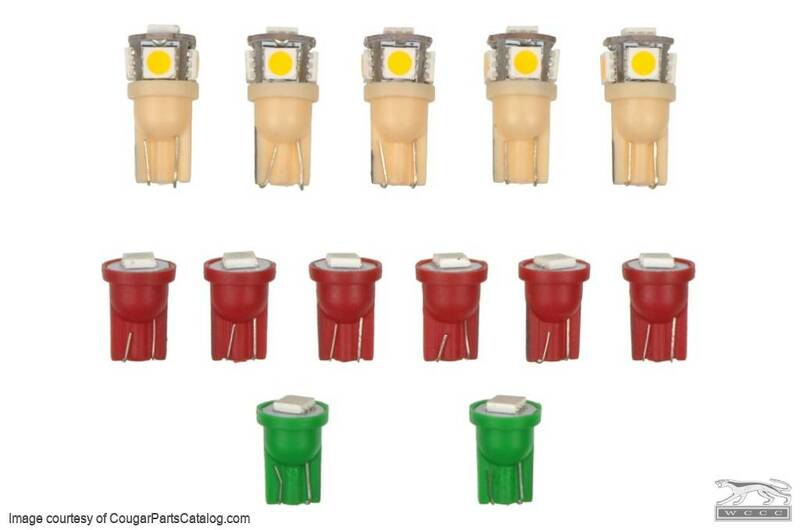 Not only are these LED lights 8 times brighter than stock, but they will also provide a true factory color while retaining your dimmer function. 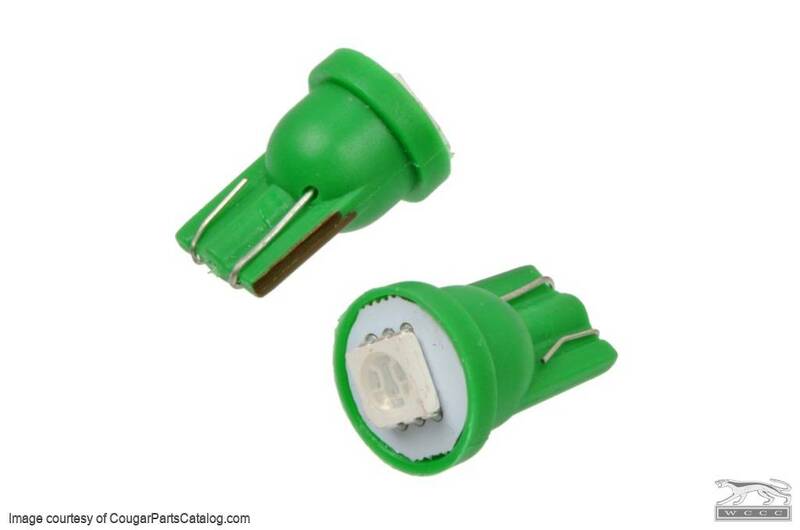 No modifications are required to use these LED's. You can also get diffusers in blue, red, and yellow. 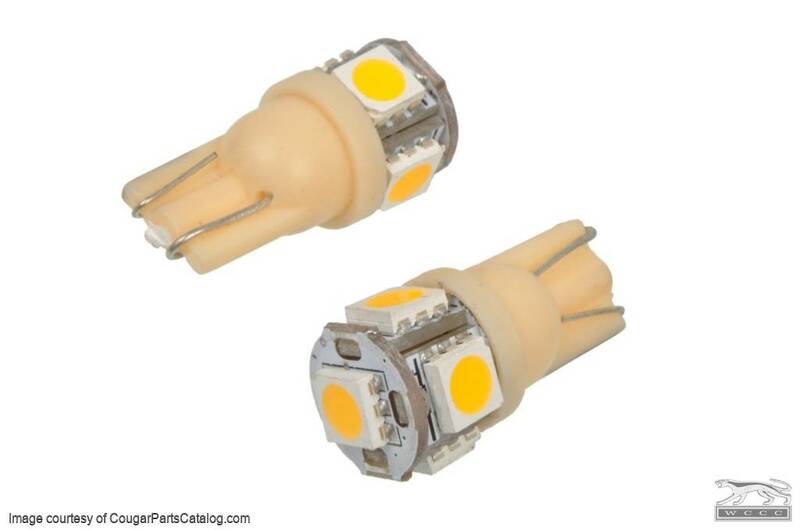 XR-7 owners: You will also need these two extra bulbs for your clock. World of difference in the brightness. Now I can see how fast I'm going at night, lol. Great upgrade I can now see my gauges at night. Easy to follow instructions. amaze you. A must have item and it's worth it. These worked great to brighten up my gauge cluster. The original bulbs were dim and just provided a faint glow in the gauges. The LEDs light the gauges up making them clear and easy to read at night. 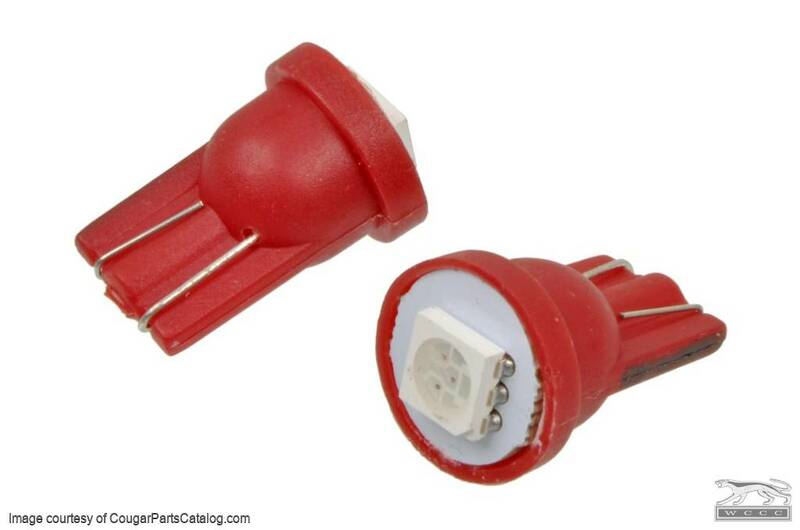 Just take your time and make sure the bulbs are oriented correctly when you twist them into the printed circuit.